According to data from the National Highway Traffic Safety Administration, in 2017 there were 37,133 total fatalities involving motor vehicle crashes in the USA. That total was the result of 34,247 crashes that involved one fatality or more. 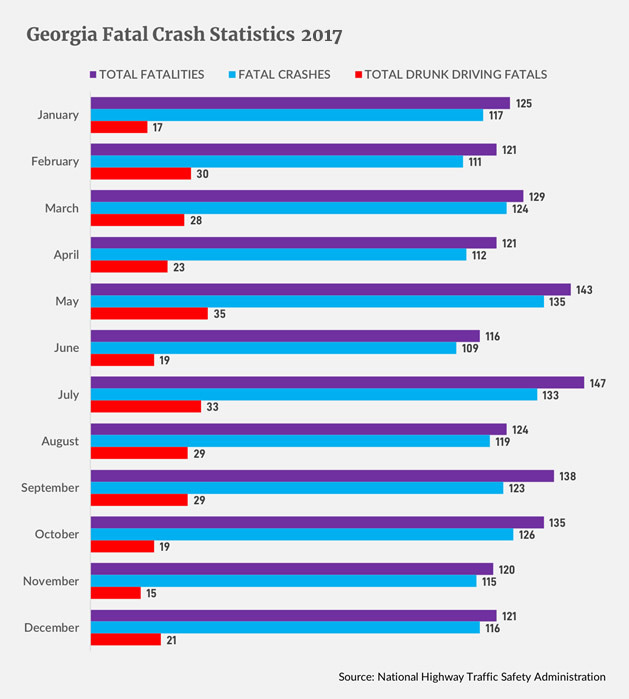 In the state of Georgia, there were 1,540 fatalities from 1,440 fatal crashes. in 2017. 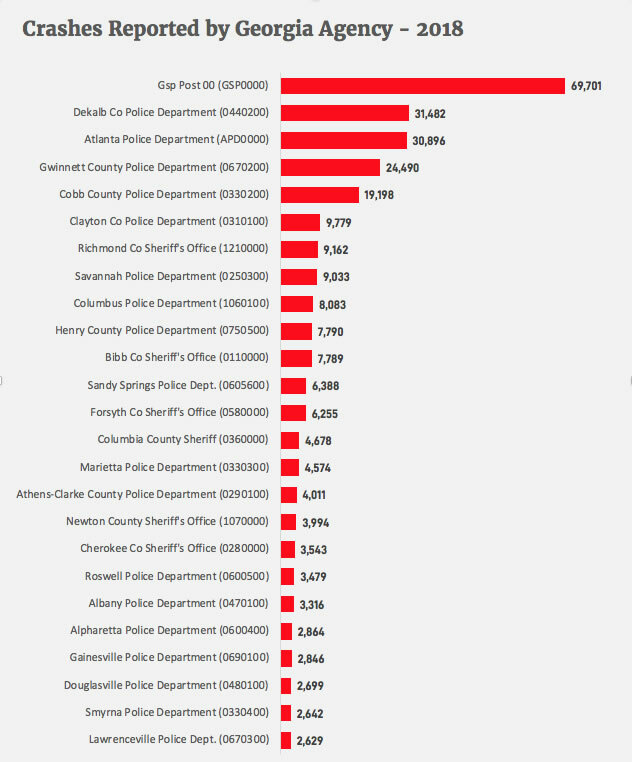 Nearly 21% of those fatal crashes (298) involved drunk drivers.